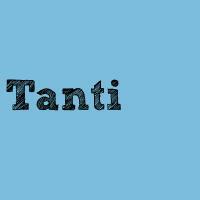 The Tanti surname of Pan Caste are a Hindu caste found in the state of Bihar and Bengal in India. "Pan " has been granted the status of Schedule Castes in Bihar under 1976 modification by the Presidential Order. Common surnames of the Tanti community in Bihar are Yadav, Kumar, Parmal, and Ram, while common surnames of the Bengali Tanti caste are Mondal, Tanti, Marik, Bhuiyan, Chakladar, Das, Basak, and Khasta. A humble request to all तांती समाज brothers/sisters to register on this site and show the strangth of our community.Here you can create profile of your family members too,lets build more contacts to each other. that is what the aim of this site.